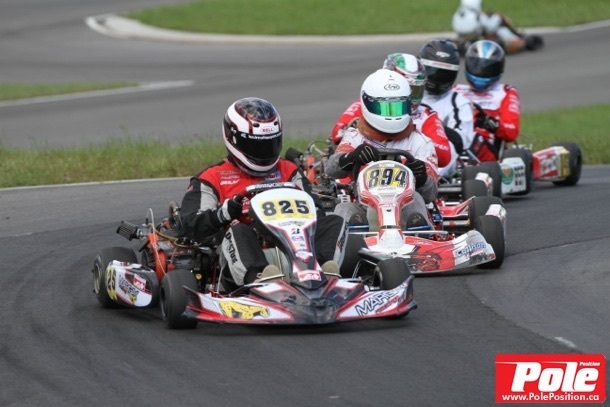 2016 OGKC Rental Kart Series – Dates Announced! 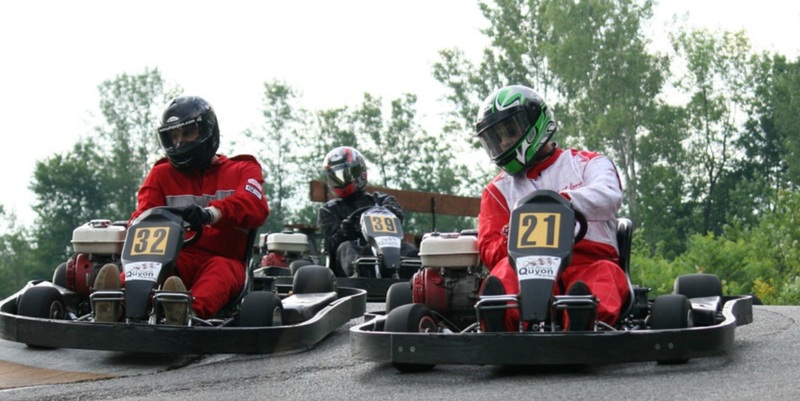 (Quyon, QC) In 2015, Le Circuit Quyon (LCQ) introduced the inaugural edition of the OGKC Rental Kart Championship. It proved to be a successful first year, with 18 racers taking part in at least one of the five races throughout the season. The 2015 championship was hotly contested, ultimately being decided at the last race of the year. The overall championship was won by Jonathan Séguin, closely followed by Michèle-Ann Sauvé in second position and Luc Fiset in third. The 2016 edition looks like it will be even better! The rental kart category is open to those racers that aren’t quite ready to make the leap to race karts, but still want to compete in the big show! For $60/event, racers will compete head to head against other aspiring kart racers for the overall OGKC Rental Kart Class Championship! The format will be a five-minute practice, 10-minute qualification, and 15-minute race using LCQ’s fleet of rental karts. Points will be distributed according to the OGKC points breakdown, and rental kart racers will be invited to the end-of-year banquet with the top three finishers receiving series trophies! The overall winner of the championship will receive a special prize to be announced at the end of the season – exciting!!! Please share this with any other racers you know that are looking to participate in the OGKC’s on-track activities! Participants must be at least 12 years old and over 55 inches (1.4m) tall! 2016 Schedule Finalized and Posted! Due to circumstances outside of the OGKC’s control, the Capital Cup Series (CCS) will not be moving forward as previously planned and communicated. As such, we have adjusted our schedule accordingly to respond to some recent requests while also ensuring maximum participation in our great OGKC series! The Capital Karting Grand Prix remains an integral part of our schedule, confirmed for the August 6-7 weekend. The OGKC Steering Committee has listened to its racers’ feedback and developed a schedule that aligns with the results of the member survey that was completed during the off-season. The results of that survey can be viewed here. We have also advanced the date of the end-of-season enduro, in the hopes of catching one of the last great weekends of the summer/fall season. We look forward to a thrilling 2016 season – see you at the track! OGKC 2016 – Survey Results! 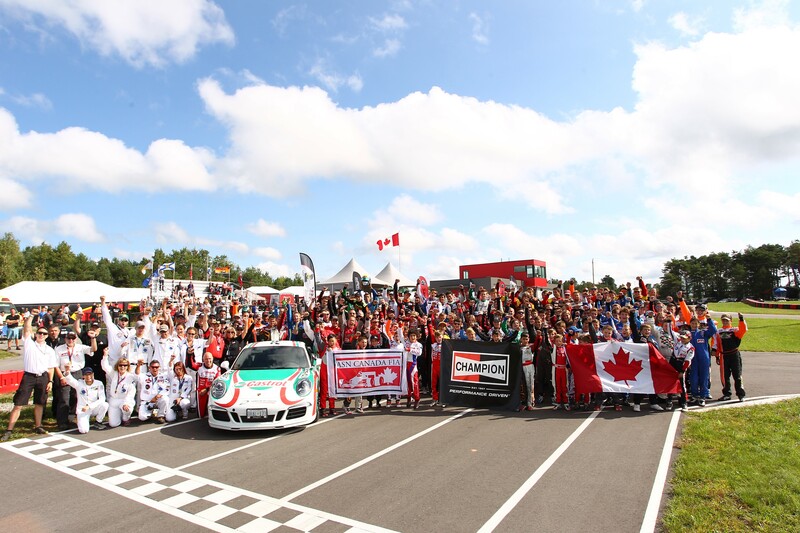 Question #1: In 2014 and 2015, the Ottawa-Gatineau Karting Championship (OGKC) was a 10-race and 9-race series respectively. How many races would you like to see for the OGKC in 2016? 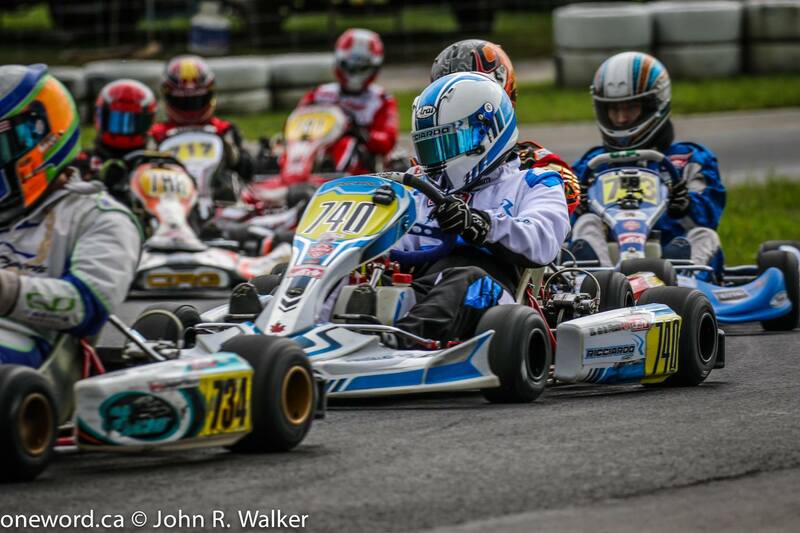 Question #2: The OGKC has traditionally used the “Practice, Heat 1, Heat 2, Final” race-day format. A common alternative to this format is the “Practice, Qualifying, Pre-final, Final” format. Please let us know which race-day format you would prefer to see for 2016. Question #3: Would you be interested in a three-race multi-club series with different venues/locations integrated into the OGKC series schedule of races? Thanks again for participating in the survey! We hope that the schedule that was developed for this year adequately responds to your hopes for the 2016 season. Bring on the first race!!!! 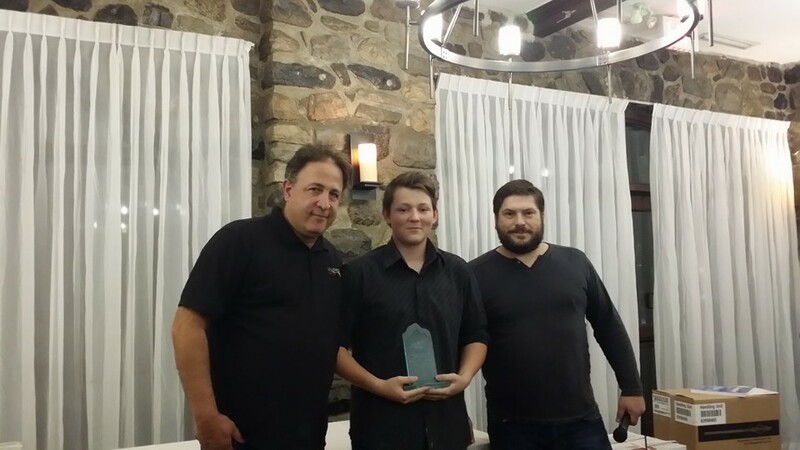 (Ottawa, ON) Thanks to all of you that attended the Ottawa-Gatineau Karting Championship awards banquet hosted at the Ottawa Ramada on the Rideau. Over fifty people shared a great meal with their friends and family while watching the series’ leading racers receive their end-of-year trophies. The final results of the OGKC are available for viewing here. Thanks to Briggs & Stratton, Le Circuit Quyon, NR Kart Store, KDM Racing, and the Ottawa Ramada on the Rideau for the great door prizes! 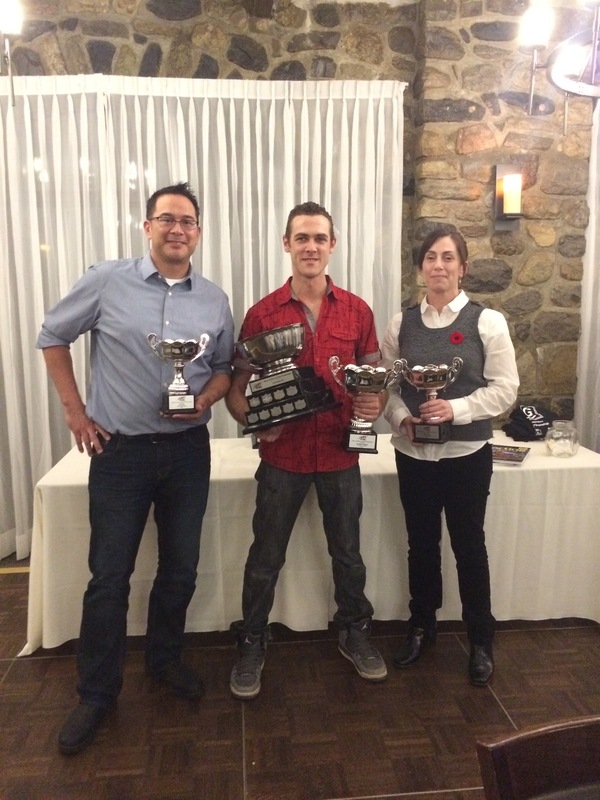 The OGKC had a great year in 2015, and we are looking forward to an even better 2016. We are already in discussions regarding changes for next year – it will be an exciting season! Please visit our facebook page or follow us on Twitter at @LeCircuit_Quyon to keep up to date on the series! 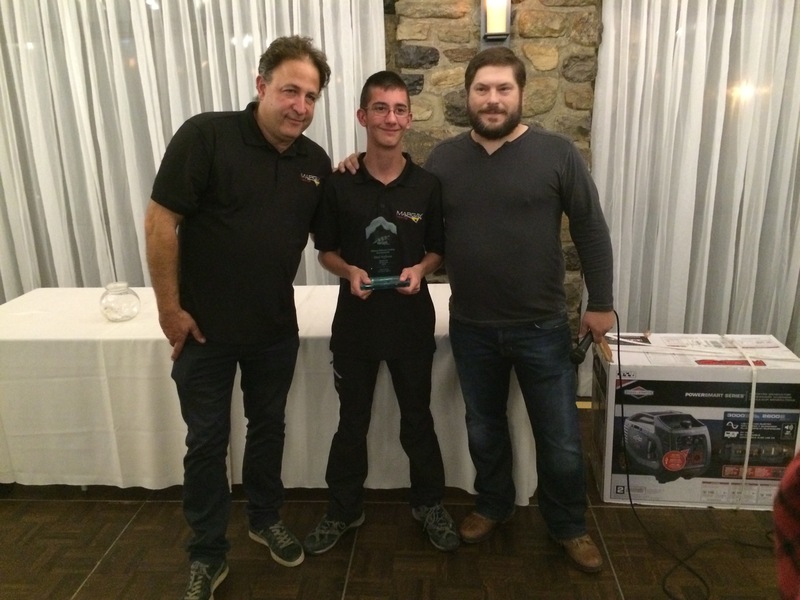 (Quyon, QC) What a finish to the 2015 Ottawa-Gatineau Karting Championship! Round #9 went off without a hitch, with 34 racers participating in our Briggs & Stratton Junior, Senior, and Masters categories including the final of the OGKC’s inaugural Rental Kart Championship. We couldn’t have asked for a better day – it started off sunny and cool in the morning, but it quickly warmed up to over 20C by the afternoon finale. The Junior category was close close close and fast fast fast, with all of the racers doing a great job. In the Final, Henry Knox (Ricciardo Kart) had a fantastic drive, crossing the line over five seconds ahead of his nearest competitor. Paul Hoffman (Margay Racing) drove hard to take a really strong 2nd place, with Owen Clarke (Ricciardo Kart) claiming 3rd position only 3/10th’s of a second behind Paul. Congratulations to Round #9’s top three racers, and congratulations to Owen Clarke for becoming the 2015 OGKC Briggs & Stratton Junior Champion! The Senior category was also extremely close, with the race for top spot in the overall championship to be decided during the season finale. 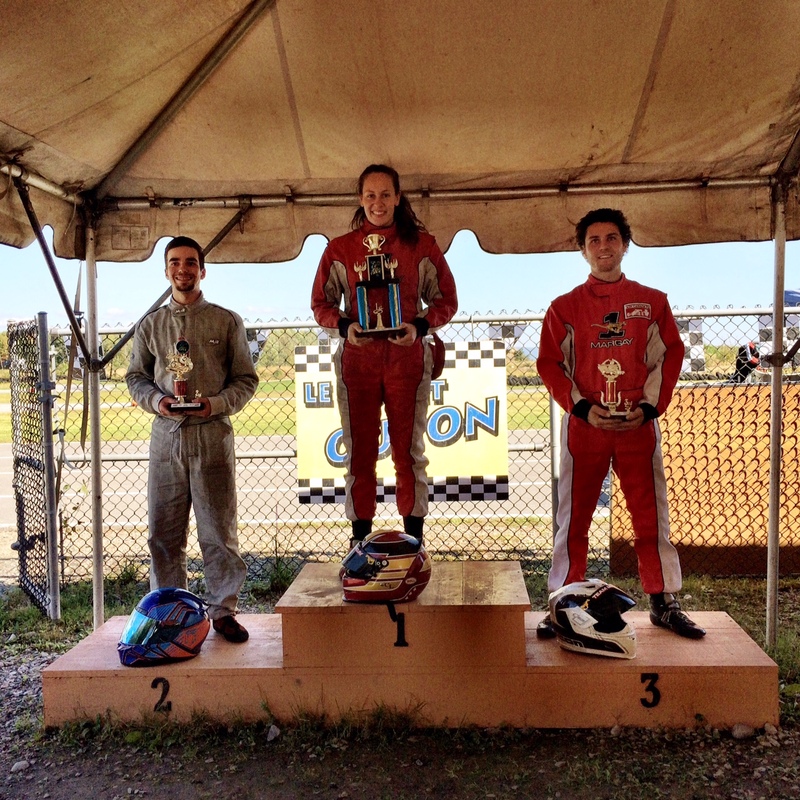 Le Circuit Quyon​’s resident hot-shoe Charlotte Lalonde (Margay Racing) took home the top position with Brandon Stephens (Ricciardo Kart) right on her rear bumper. Trailing the leaders by five seconds and taking the final podium position was Michael Forget (Margay Racing), who did enough to clinch the overall 2015 OGKC Briggs & Stratton Senior category – congratulations Michael! It came right down to the wire, with Mike de la Plante (Ricciardo Kart) – also in contention for the overall championship – suffering from a broken throttle cable which dropped him down the order and ultimately ended his fight for the crown. 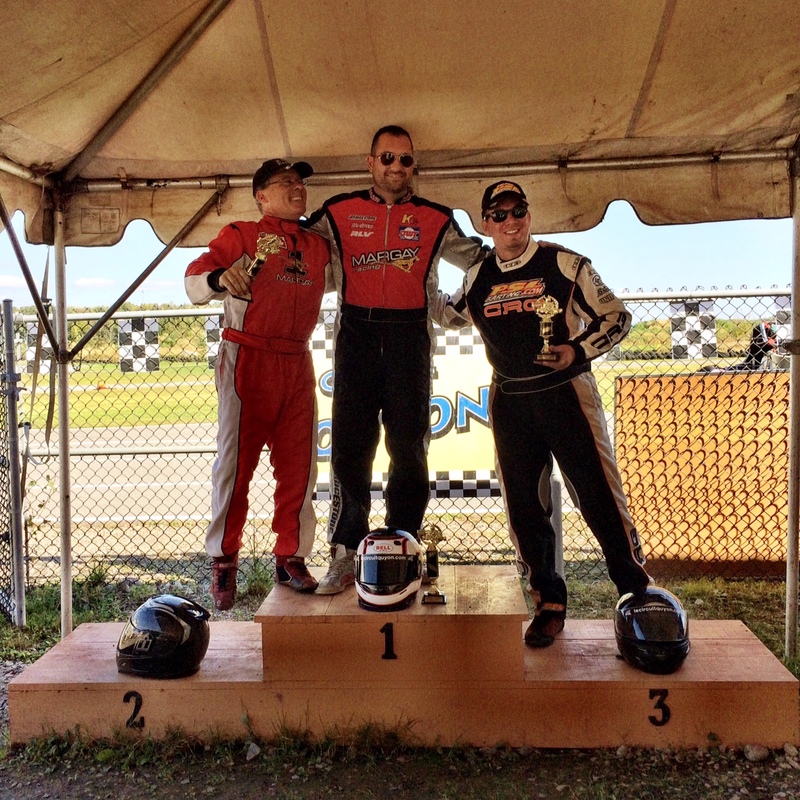 The Masters category was a rough and tumble affair, with several drivers challenging hard for victory. 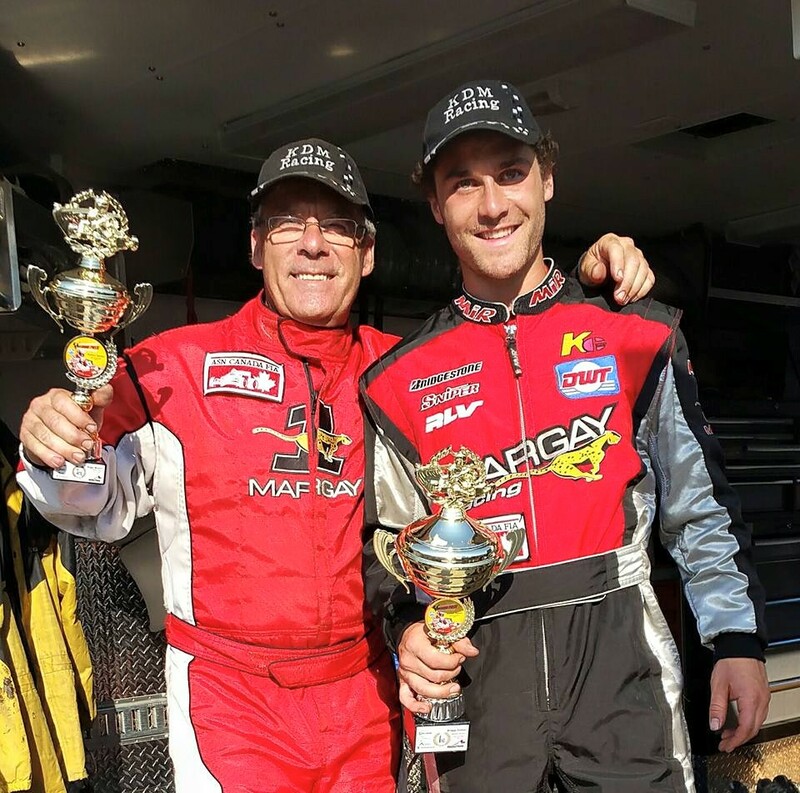 James Dunn (Margay Racing), who has been strong all year, finished the year in style with a start-to-finish victory which also confirmed him as the overall 2015 Briggs & Stratton Masters champion. 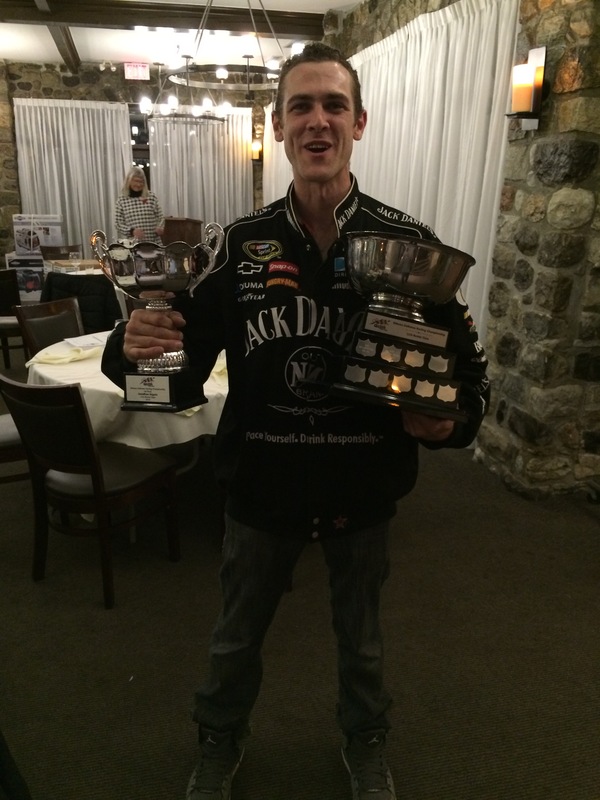 Congratulations James on your overall championship! Mike Forget (Margay Racing) raced from well down the field to finish the race in 2nd position, narrowly missing out on the overall championship. Phil Hall (CRG), who has been consistently near the front of the pack all year, finished the race in 3rd position – solidifying his 3rd position in the overall championship. In the Rental Kart category, the racing was very competitive amongst the 10 participants. 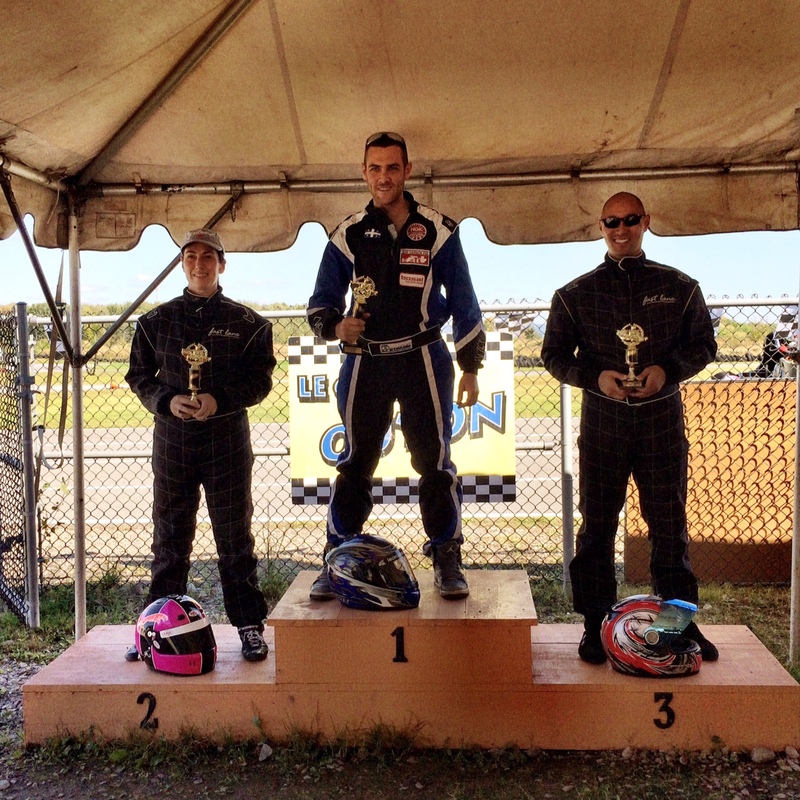 There were several lead changes throughout the event, but Jonathan Séguin was leading when it counted and finished the race in 1st place, clinching the overall rental kart championship. He narrowly beat Michèle-Ann Sauvé, who crossed the line in 2nd position just ahead of Ken Chan in 3rd. Jonathan and Michèle-Ann had exchanged 1st place overall several times throughout the season, with Jonathan confirming his overall victory with his win in the finale. Congratulations to all the racers on an incredible season! Sixty-five racers participated in one or more races in our five categories throughout the 2015 season. 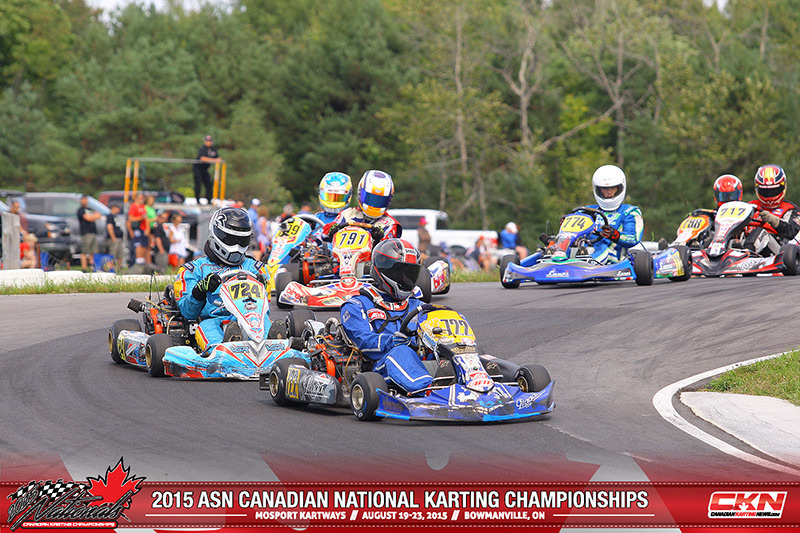 Karting is alive and well in Canada’s Capital Region – we are really looking forward to 2016! Stay tuned for more information about the end-of-year enduro scheduled for Sunday, October 18th. Everyone is invited to participate in this great event! 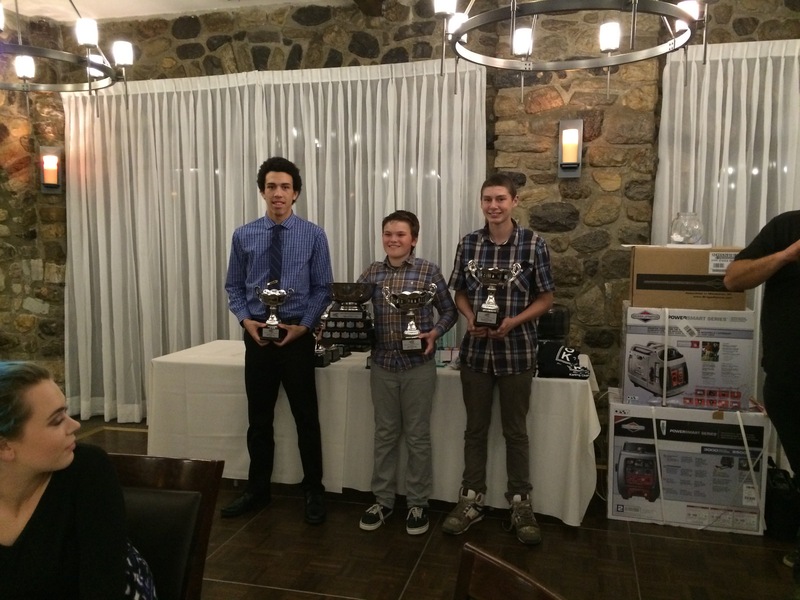 (Bowmanville, ON) Racers from the Le Circuit Quyon Karting Club (LCQKC) had some solid results at this year’s Canadian National Karting Championships recently held at Mosport Kartways in Bowmanville, ON. It was blue skies and warm conditions for the majority of the four-day event. 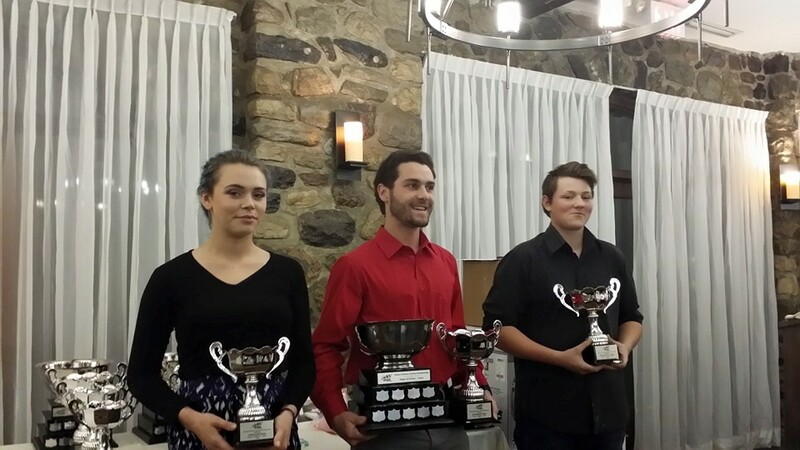 LCQKC’ers competing in this year’s championships included Briggs & Stratton Junior racers Owen Clarke (655) and Paul Hoffman (624), Briggs & Stratton Senior racers Charlotte Lalonde (717), Michael Forget (718), Jamie Hynes (786), and Mike de la Plante (740), and Briggs & Stratton Masters racers Mike Forget (828) and James Dunn (825). The Briggs & Stratton Junior category was very popular this year, with 33 registered competitors. 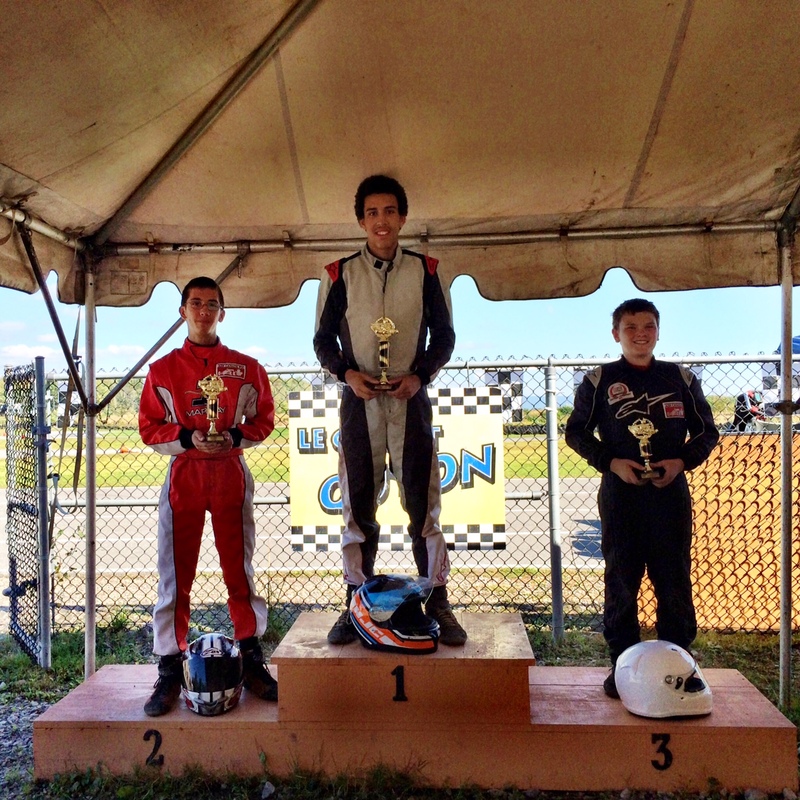 This was Paul Hoffman’s second national karting event, and he showed great progress over the course of the weekend! During the final race, Paul mixed it up with several other competitors and managed to drop his time by over half a second between qualifying and the final. Great job Paul! Owen Clarke had an interesting weekend, running in the middle of the pack for the majority of the sessions. After experiencing a flip in the pre-final race, his Ricciardo Kart needed an overnight rebuild. 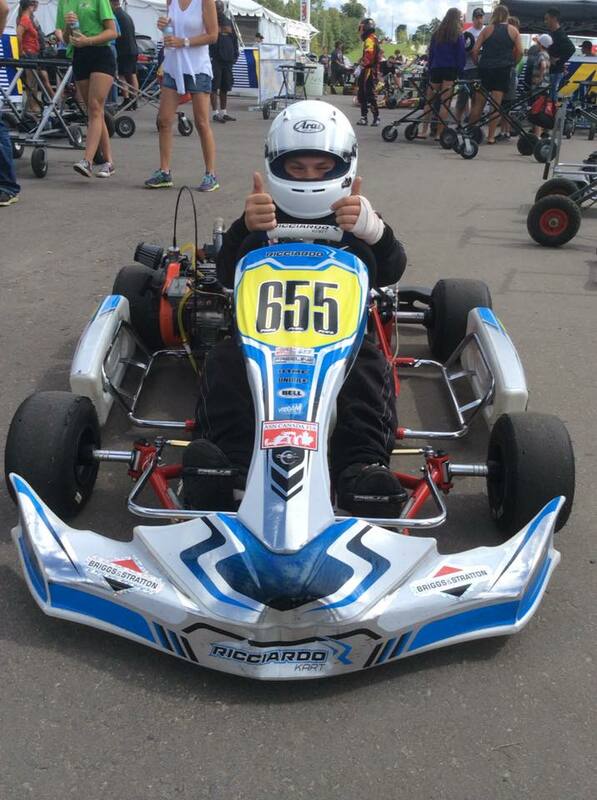 Owen, bruised and battered, still managed to bring home his kart in a very respectable 15th position. 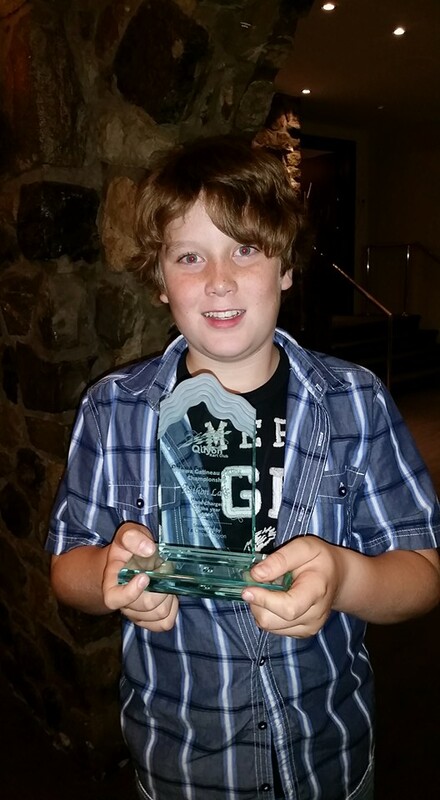 Well done Owen – next year will be even better! The seniors had a tough time over the course of the race weekend. Mike de la Plante had a great qualifying, having the 7th best time in qualifying session #2, with the other LCQKC’ers qualifying mid pack in the 39-racer field. In the final, Charlotte Lalonde had a great race and made her way into the top 10 from a starting position well down the grid. Michael Forget finished mid-pack in 18th, Jamie Hynes crossed the line in 31st in her first trip to the nationals, and Mike de la Plante – who showed great promise through the qualifying and heat races – was involved in a first-lap tangle and was unable to complete the race. This was a learning experience for the LCQKC’ers in the senior category, which will make them even stronger for next year’s campaign! In the Briggs & Stratton Masters Class, Mike Forget and James Dunn both had excellent times and qualified in the top 10 in the field of 23 racers. Throughout the heat races and the pre-final, James never dropped out of the top four spots and in the final, he managed to bring home his Margay Racing kart in a solid 3rd place podium position. Mike was not able to demonstrate his natural speed over the course of the weekend, although he consistently completed his sessions in the top half of the pack. He had trouble cracking the top 10 in the final and finished the race in 14th position. It is hoped that more of LCQ’s ultra-competitive Masters racers will join in the challenge for the Canadian championship next year! Congratulations to James on his podium finish, and to all of the members of the Le Circuit Quyon Karting Club on a great weekend. It may not have ended with multiple podium finishes and victories; however, the karters had a great time, worked together, learned some racecraft, and will be better prepared for next year’s campaign! 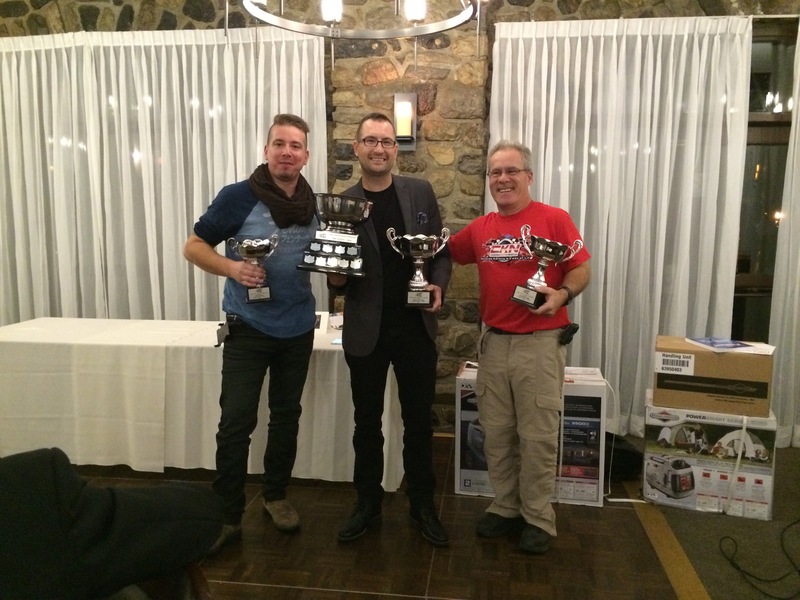 Thanks to Mosport Kartways, Canadian Karting News, PolePosition.ca, and all of the teams and sponsors for making the 2015 championships an amazing success!